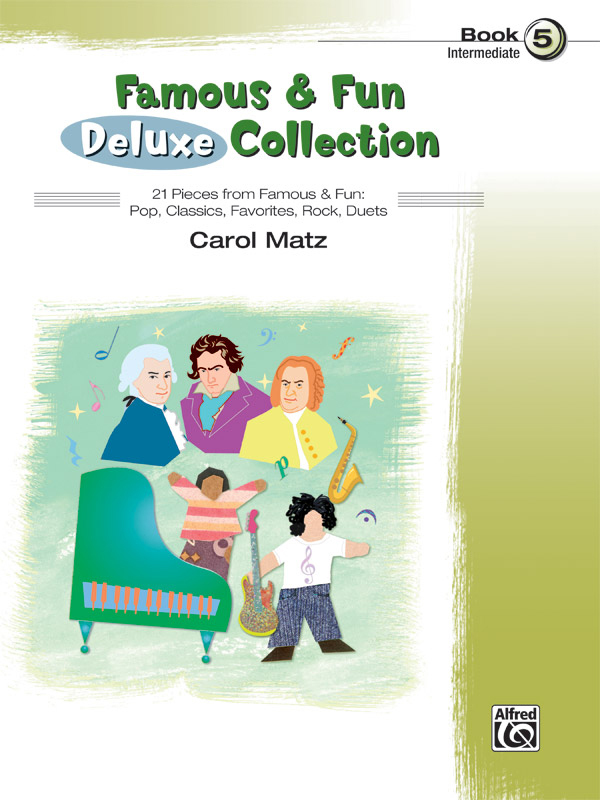 * The Famous & Fun Deluxe Collections contain well-loved selections drawn from Famous & Fun: Pop, Classics, Favorites, Rock, Duets, and Pop Duets. * These teacher-tested arrangements are student favorites, and can be used as a supplement to any method. * Titles: Alexander's Ragtime Band, America (My Country, 'Tis of Thee), Beauty and the Beast, Canon (Pachelbel), Clair de lune, Don't Stop Believin', Eye of the Tiger, Habanera (from the opera Carmen), If I Only Had a Brain (from The Wizard of Oz), Imagine, The Imperial March (Darth Vader's Theme), In the Hall of the Mountain King (from Peer Gynt Suite), The James Bond Theme, Maple Leaf Rag, Musetta's Waltz (from the opera La bohème), New York, New York (Theme from), Over the Rainbow, The Star-Spangled Banner, Un bel dì (from the opera Madame Butterfly), Under the Sea (from Walt Disney's The Little Mermaid), Washington Post March.